Is Liberal Morality Just As Oppressive As Conservative Intolerance? Is “Liberal Morality” Just As Oppressive As Conservative Intolerance? Is forcing equality a bit too forced? 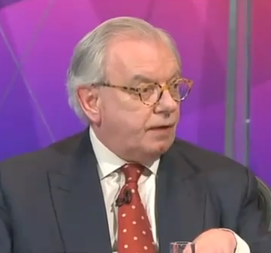 Gay Historian David Starkey waxes philosophically about the intolerance of tolerance in this short clip. Starkey wonders if the advancement of gay rights and acceptance being pushed by gay blogs and um, gay people, is actually any less intolerant and intrusive into family life than the former status quo. What do you think of Starkey’s stark opinion?